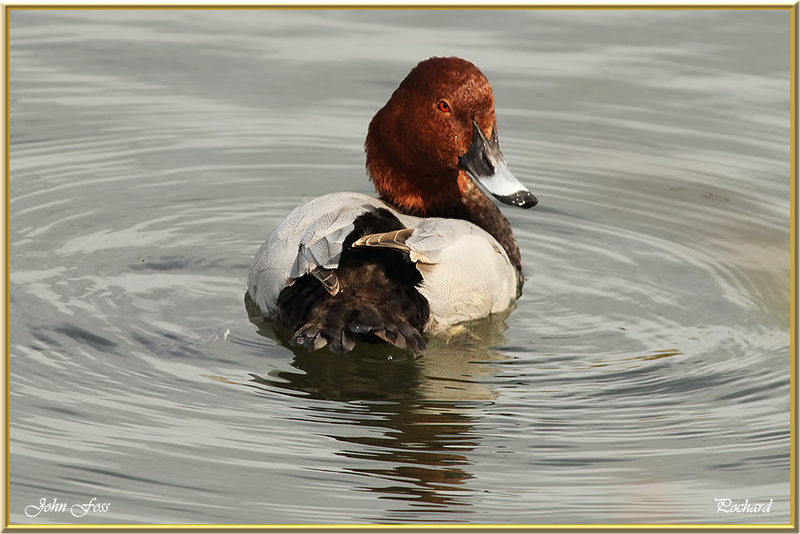 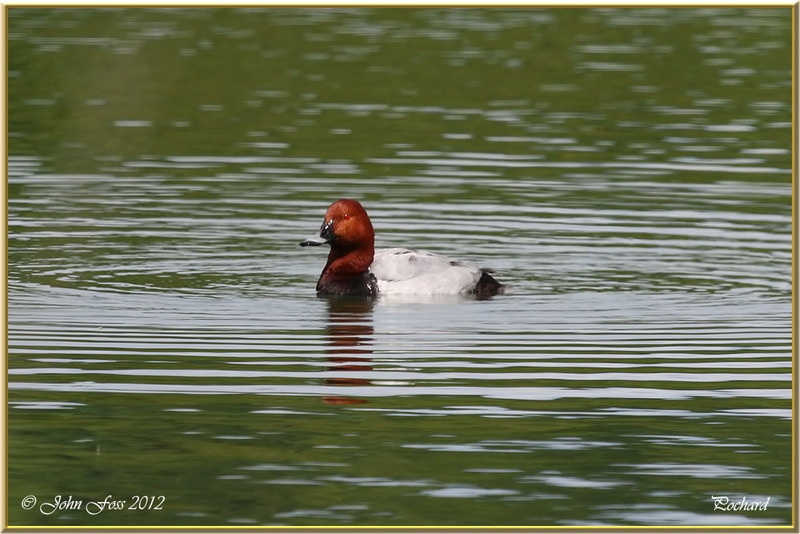 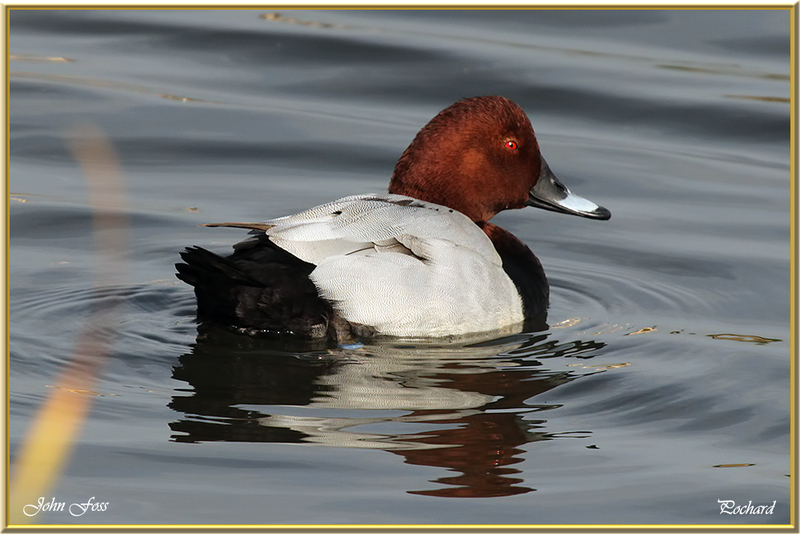 Pochard - Usually breeds on medium-large and fairly deep freshwater with some marginal vegetation. 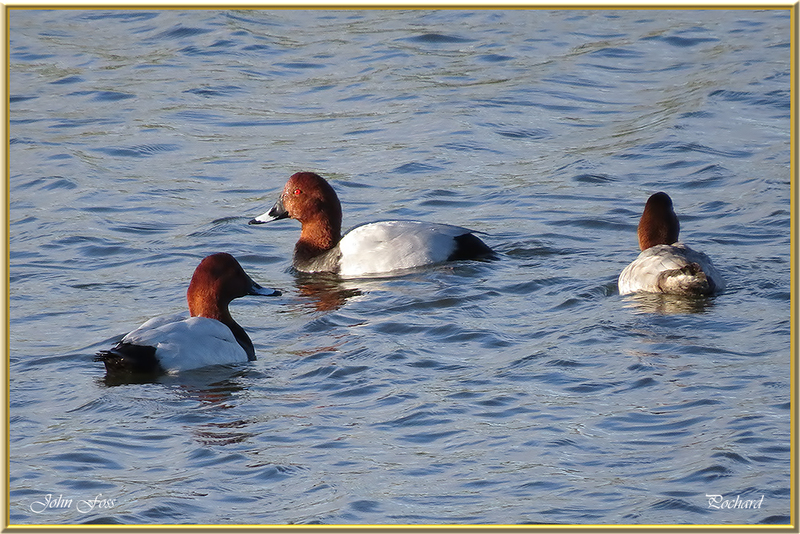 On passage and in winter often on larger more open waters, particularly reservoirs and gravel-pits, also estuaries and sometimes on sheltered seas. 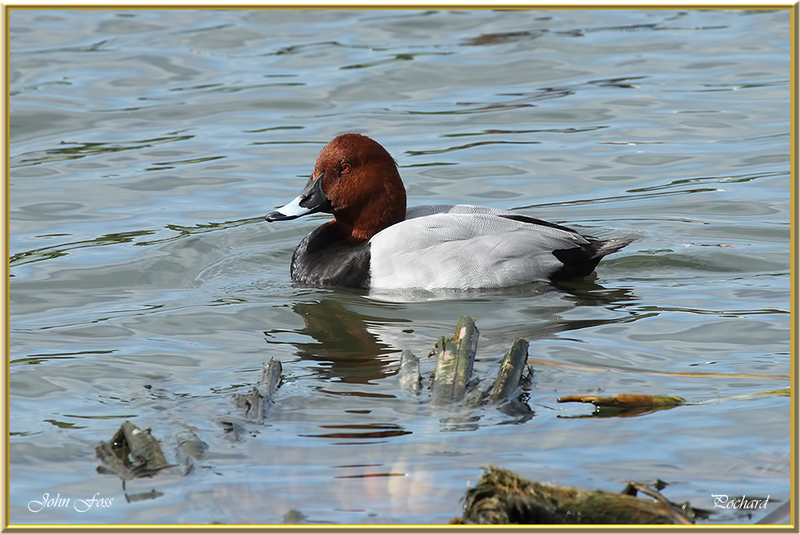 Photographed at Carsington Water Derbyshire, Nottinghamshire and Portugal. 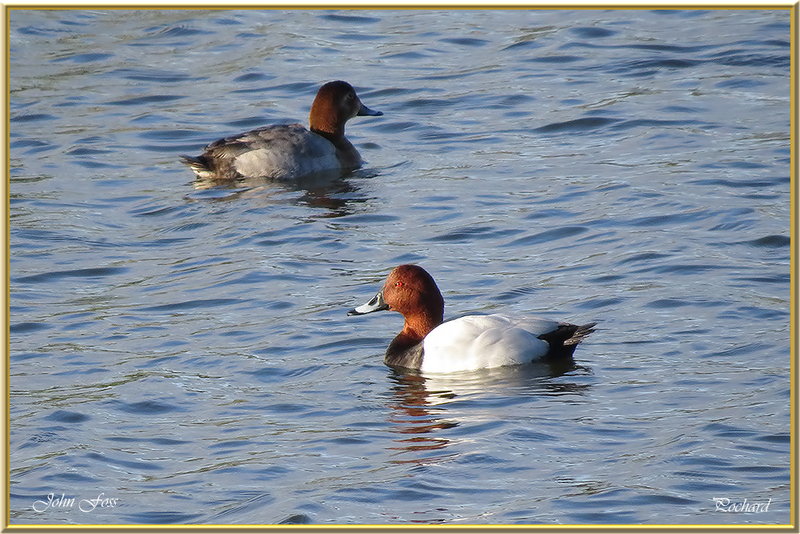 ▼ Male and female Pochards at Vilamoura reedbeds Portugal. 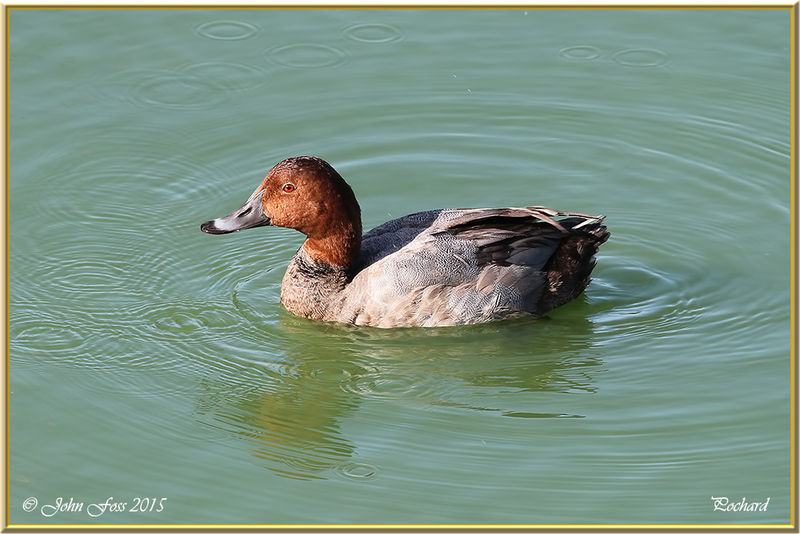 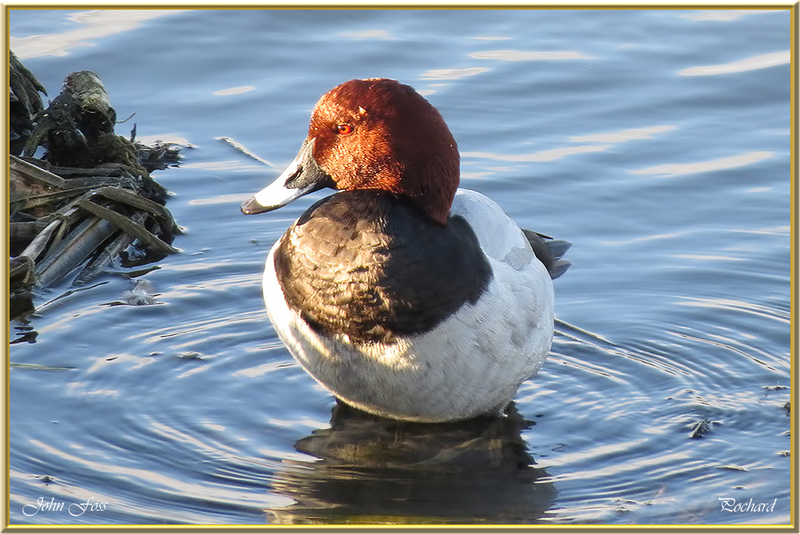 ▼ Pochard preening at Quinta Do Lago Portugal.